In the case of pretzels, rather than boiling them, they are poached in a solution of water and baking soda. Though it might sound strange, the alkaline water makes the dough slightly gummy; once baked, it helps to ensure a chewy interior with an outer "crust" browned to perfection. I’m going to make a bold statement: this is simply the best burger you will ever make or eat at home. In a pinch for time, I would head to WholeFoods and pick up a couple of slabs of their pre-made pizza dough. It's certainly not the same as making our 72 hour dough recipe, yet still more flavorful and rewarding than ordering takeout. Typically at these get-togethers, beyond your basic cheese (which is always #1 with the kiddos), I get the most requests for an arugula and onion pizza. It's pretty simple, but the flavors are always spot-on! This past week, more than ever, I had stromboli on the brain. As you may remember, this past spring we blogged about a killer stromboli recipe given to us by Jenn Louis, of Sunshine Tavern and Lincoln PDX. I have made her stromboli on the Baking Steel more times than I can count. It is always a crowd favorite. The concept is so simple, yet the results are so complex and satisfying. This opened a whole new door for me. 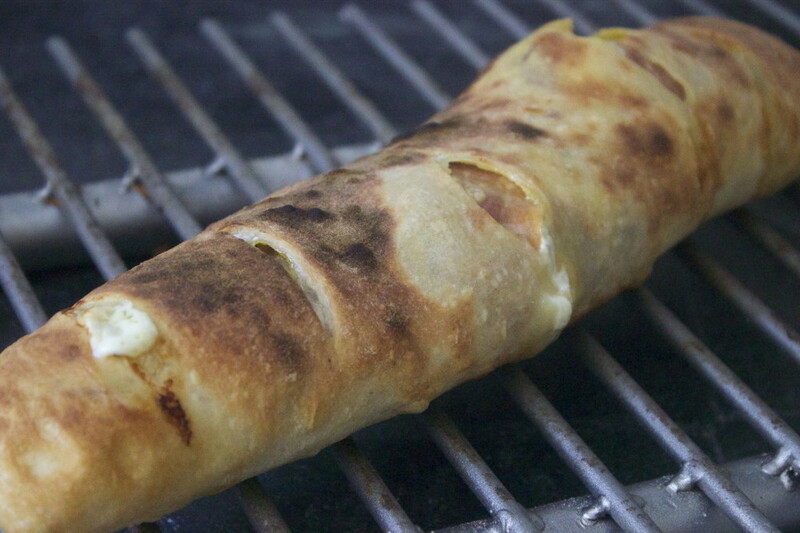 When it comes to strombolis, the possibilities are endless. It was time to get creative. My dough was ready so I headed to Whole Foods and picked up a handful of ingredients. When I took my first bite, I knew this was a recipe I had to share. Preheat baking steel in a 400-degree oven for 45 minutes. On a work surface, stretch dough into an oblong shape, approximately 12″X6″. 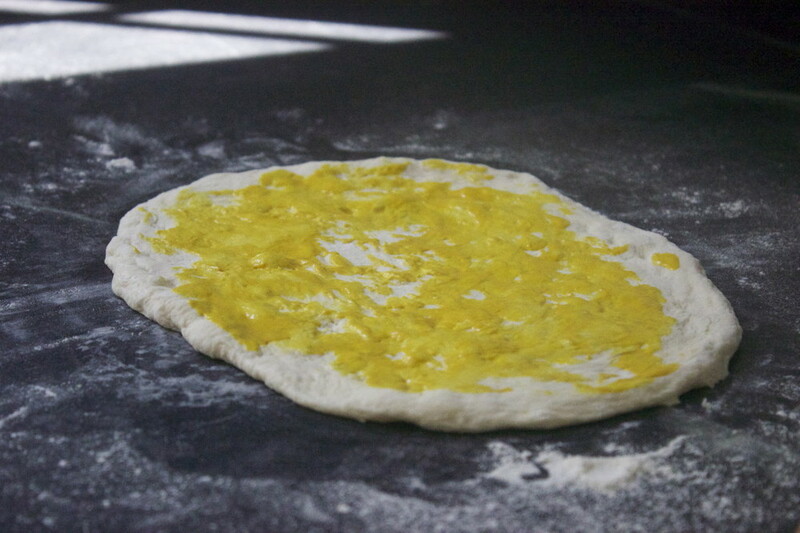 Spread mustard all over dough, leaving a ¼" boarder around edges. Season mustard lightly with salt and pepper. Top mustard with remaining ingredients, then roll into a long cigar shape, enclosing the ends of the dough. Add a small amount of olive oil and rub around the dough. Use a knife to cut 4 slits on the top of the dough. 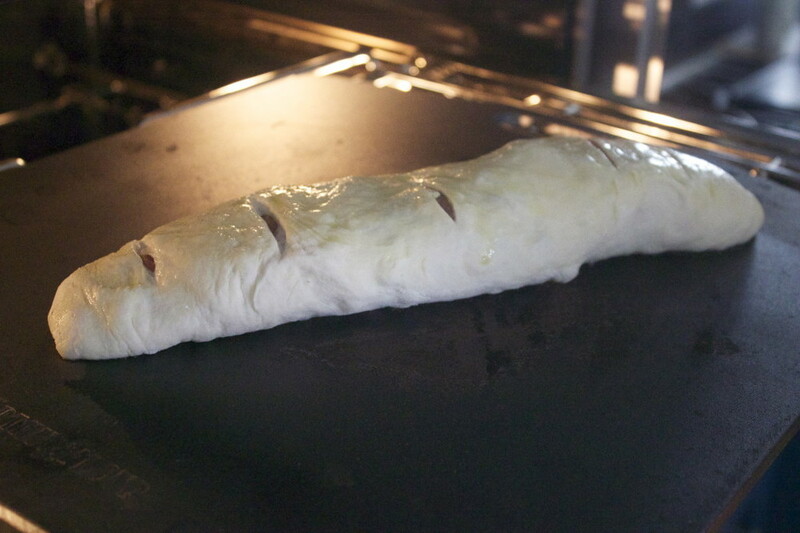 Place stromboli on the Baking Steel and bake for 5 minutes, or until underside of dough becomes golden. 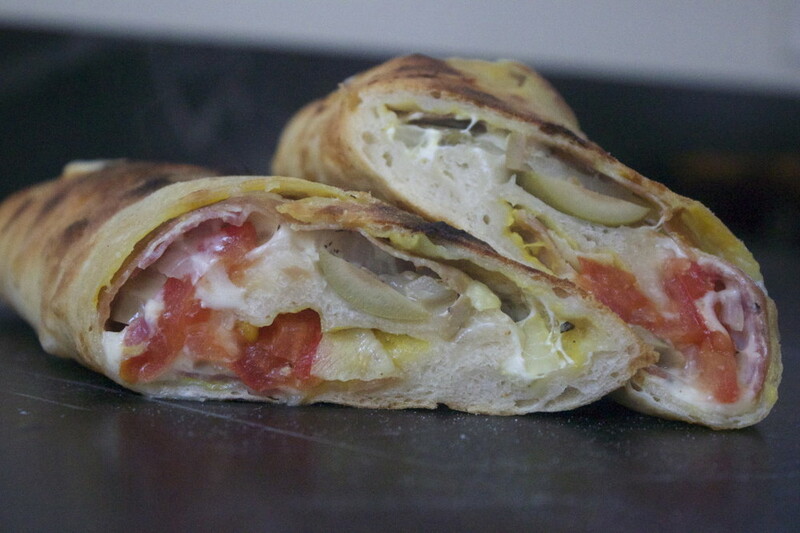 Roll stromboli to remaining sides, rotating until stromboli is cooked through and golden. Cool for a few minutes. Wondering what to do with those extra dough balls, after your troops have had their fill of pizza? Here is an answer that will entice-breadsticks! In less than 20 minutes, with a few key ingredients: pizza dough, clean hands, and a hot Baking Steel in your pre-heated oven, you'll be enjoying these breadsticks that are sure to elevate you to rock-star status! Think about the way the Baking Steel crisps your pizza...now imagine how awesome these breadsticks come out...crunch! Unfortunately, while I was making these, my two "taste-testers" devoured the sticks before I could capture the evidence on camera. Not to worry! 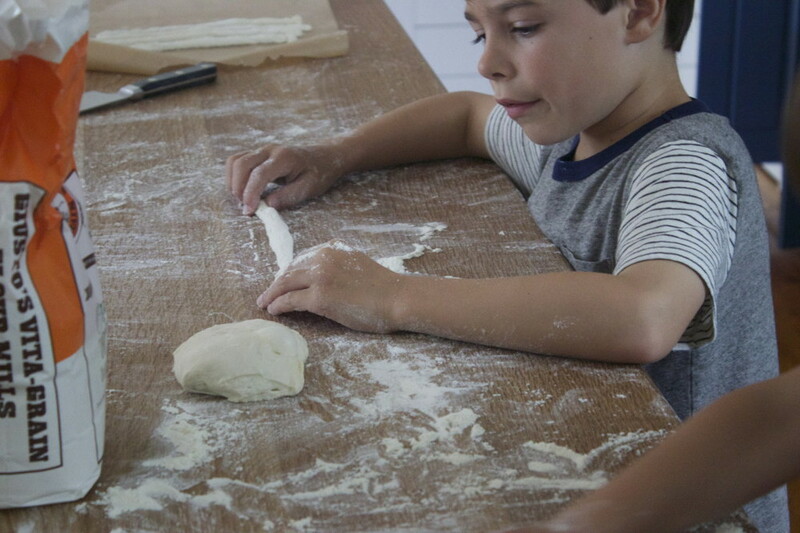 We grabbed another dough, divided it up and started gingerly rolling "sticks" with our hands. While we waited for this batch to bake, I reminded my boys, "please wait for daddy to get a few pictures before we eat all the evidence". Easier said than done, but they managed to restrain themselves. In less than 20 minutes you can create some love and a healthy snack for all to share! Just be sure to double your batch, because I promise they'll go quick! 1. Using your scale, pour 500 grams (3 3/4 cups) of flour into your mixing bowl. 3. Pour in 16 grams (2 teaspoons) of fine sea salt. 4. This next step is not part of Jim Lahey's recipe but it is something I learned from Modernist Cuisine. I add 1 tablespoon of Bob's Red Mill vital wheat gluten. This dough is delicate, the Bob's wheat gluten gives the dough more texture and elasticity. 5. Whisk all of the dry ingredients together in your mixing bowl. 6. Pour in 350 grams (1 1/2 cups) of water. 7. With either a wooden spoon or your hands, blend all of the ingredients together. Once the ingredients have bonded and your dough looks similar to the pictures above, cover the bowl with a kitchen towel. Wet your towel beforehand and ring out all of the water so that it is slightly damp. This will help prevent the top of your dough from drying out. 8. Let the dough sit at room temperature for 18 hours, it will have at least doubled in volume. Tiny little air bubbles should be evident. 9.Transfer dough to a floured work surface. Gently shape into a rough rectangle. Divide into equal portions. Working with 1 portion at a time, gather 4 corners to center to create 4 folds. Turn seam side down and mold gently into a ball. Dust dough with flour; set aside on work surface or a floured baking sheet. Repeat with remaining portions. You are all done. It really is that simple. Jim Lahey's no knead dough is one of my all time favorite pizza dough recipes. Not only is it simple but it doesn't require equipment. His dough jumps off of the Baking Steel and delivers incredible results. Before we get into the recipe, I want to stress the importance of using a scale to measure your ingredients. If you are serious about baking, dough making especially, measuring your ingredients by weight is a must (stop guessing and get your self a digital scale). A cup of flour can weigh anywhere between 4-6 ounces, depending on how it is packed or fluffed. With a scale, you are guaranteeing accuracy and consistency. Which translates into the same dough every time. To start, the ingredients you will need: flour, salt, water, yeast (and my secret ingredient: Bob's Red Mill gluten vital wheat protein). *If I am not ready to use my dough, I separate it into equal parts and store them in my fridge in these round cylinders (pro-tip: round pizza starts with round dough). When I am finally ready to make my pizzas, I pull the dough out of the fridge about an hour before hand and let it sit at room temperature. 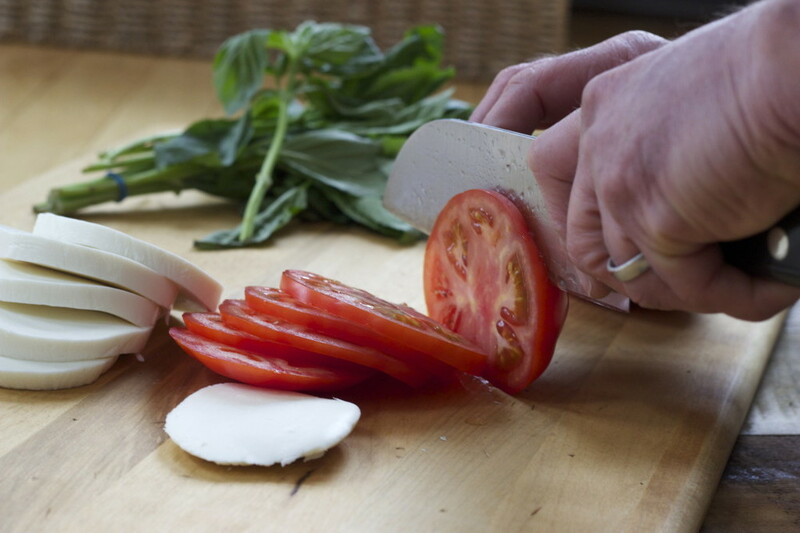 Caprese salad is a simple dish but one that packs a lot of flavor-vine ripened tomatoes, buffalo mozzarella, basil, a dash of salt and a drizzle of balsamic, olive oil or both! With snow outside my window and a longing for the days of summer and ripe tomatoes, I decided to experiment. What if I deconstructed the caprese salad and turned it into a hearty sandwich instead? As usual, I had some extra pizza dough on hand (if you haven't heard me say it before, pizza dough makes excellent sandwich rolls!) and had just bought some pretty decent "hot-house" tomatoes at Whole Foods. Because we're a "pizza household" I had all the other ingredients on hand as well. The only heavy lifting for this experiment would be putting the Baking Steel in the oven-DONE! Now let's deconstruct some salad and create some caprese love on Baking Steel bread! 1 pizza dough divided in two. Divide a pizza dough in 2, about 125 grams each. Make a round and bake on the Baking Steel at 375 F for 30 minutes (use parchment). Layer all ingredients on a sliced baking steel roll and sprinkle with olive oil, s & p.
A couple of weeks back, Jenn Louis, a Food and Wine Magazine's Best New Chef of 2012, contacted me via Instagram. She had bartering on her mind! She would share some of her outstanding recipes, if I would share a Baking Steel for her to "test drive." I thought about that for all of 2 seconds, then asked, "where do I send it?" We are so happy to introduce our newest blogger, Rosie. She will be our go-to gluten girl as she specializes in nutrition and gluten free recipes. For her first Baking Steel blog post, Rosie took on gluten free soda bread. Read more below! Soda bread is a quick and simple answer to bread making. No yeast, proving or kneading time is required since sodium bicarbonate is used as the leavening agent. This reacts with the lactic acid in the buttermilk forming little bubbles of carbon dioxide. I like to mainly use wholegrain flours in my recipes as these are less refined and more nutritious. This is because most of the goodness in grains, is in the outer bran layer and germ of the seed. Wholegrains can therefore contain up to 75% more nutrients than refined cereals! Don't worry if you have never heard of psyllium husks before. These are a natural alternative to xathan gum and are a staple ingredient in many gluten-free baking recipes. The husks absorb moisture, creating a gel-like consistency which acts to bind the bread together and mimic the elastic properties of gluten. You should be able to find these in your local health food store. The fresh Parmesan, walnuts and dates help to create a winning savoury/sweet combination. Put this bread in the centre of a dining table, and invite people to tear off triangular chunks with their hands and enjoy alongside a seasonal salad, soup or stew. This bread can also be sliced lengthways, and toasted which works particularly well for gluten-free brunches with mashed avocado, organic poached eggs and garlic sautéed spinach. Since the shelf life of soda bread is not particularly long, I also like to slice up the loaf and store it in the freezer. 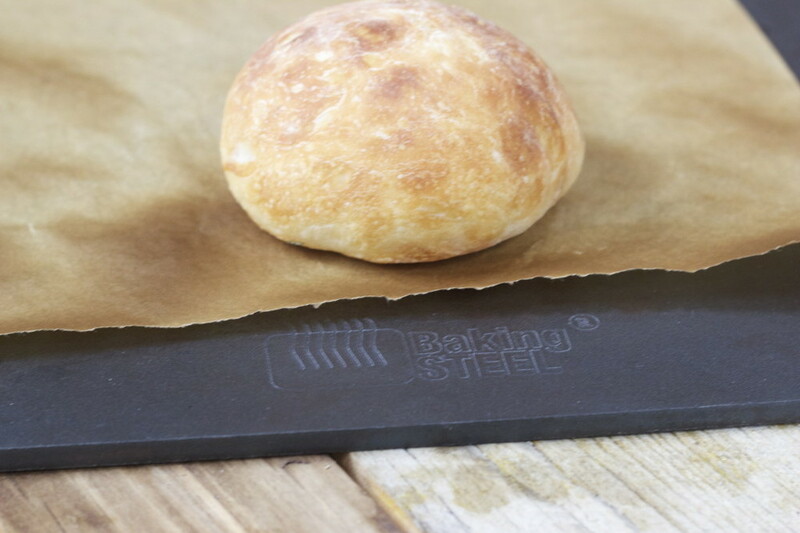 Place your baking steel in the centre of your oven, preheated to its maximum temperature. Add flour, baking powder, bicarbonate of soda, salt and psyllium husks to a large mixing bowl. Sift well until all the ingredients are evenly combined. Add the walnuts, cheese and dates to the bowl, distributing them within the flour mixture with you hands. In a measuring jug, whisk the egg and buttermilk together. Make a well in the centre of the dry ingredients, and pour in about half of the egg/buttermilk mixture, using your hand in a circular motion to incorporate everything together, working from the centre of the bowl outwards. Continue to add enough of the buttermilk mixture until the dough comes together with a soft consistency. You don't your dough to be too wet and sticky, so don't add all of the buttermilk unless you need to. The amount of buttermilk/egg mixture I end up adding depending on which brand of flour I am using as different flours have difference absorbance capacities. 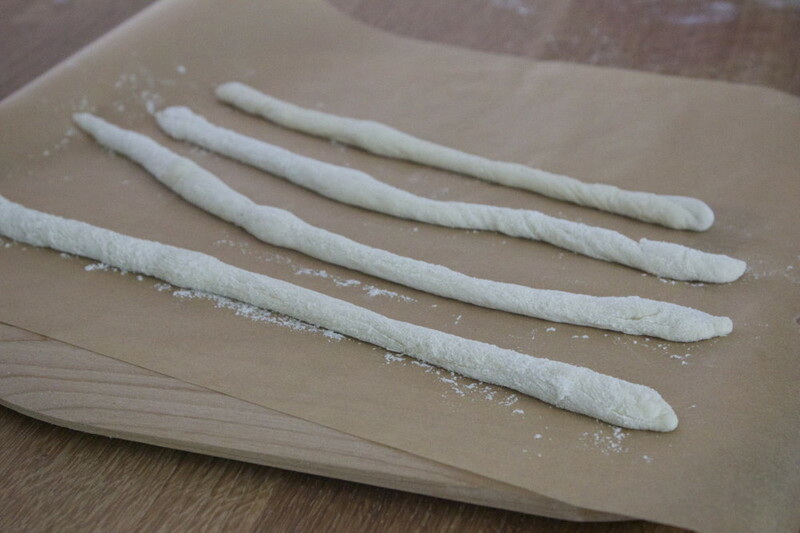 Turn the dough out onto a floured square of parchment paper, and quickly pat it into a 4cm deep round. Using a large, sharp knife, cut a deep cross on the loaf and prick the four corners with a fork. 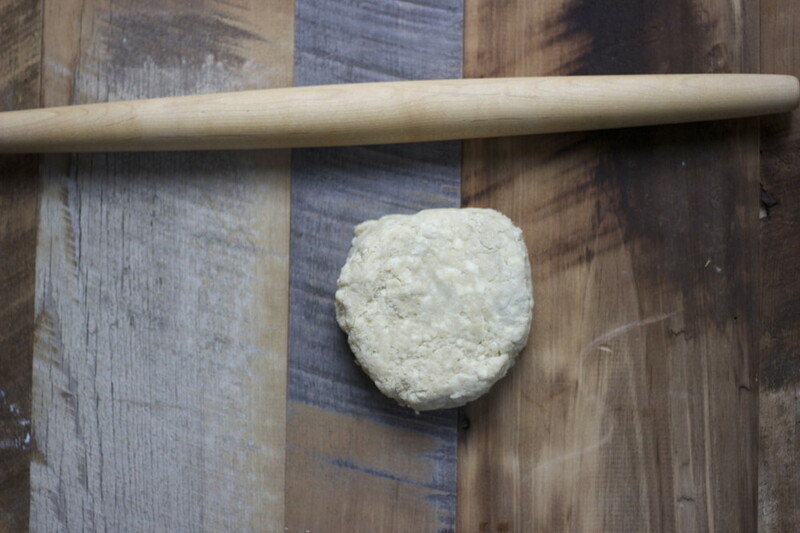 Place the dough and parchment paper onto a pizza paddle, and launch it onto your baking steel. Bake in your oven at its maximum temperature for 5 minutes and then turn the oven down to 180 °C. You will know your bread is cooked if it sounds hollow when tapped on its underside. Transfer the bread to a rack, and leave it to cool completely before enjoying. My name is Rosie, and I'm a London based coeliac, training to be a Nutritionist and Dietitian. I started my food blog, glutenfreerosie.com after realising there is a common misconception that gluten-free automatically means healthy! Packaged gluten-free foods can often be highly processed making them energy dense, but not necessarily nutrient dense. My recipes largely focus on using whole, seasonal, plant-based ingredients to create nutritious food, bursting with flavour. Cooking, or more specifically baking, without gluten can at times be tricky. This is particularly because gluten provides important baking properties such as elasticity. If you're new to gluten-free baking, the key is to throw out expectations that your bread or pizza will be exactly the same as regular bread and pizza. The process and results are often different, however it's possible to create food that tastes, and looks amazing. I hope I can inspire you to have fun, and embrace baking gluten-free, using your Baking Steel. Apple pie is a timeless dessert. It also happens to be one of my very favorites! The tartness of the apples combined with the buttery flakiness of the crust, makes this one delicious treat. Finding a "negative" attribute of this dessert is hard to come by. However, one drawback I have encountered over the years is the dreaded soggy crust. I've put the Baking Steel through the paces, and I'm excited to say - problem solved!! Placing the pie plate directly on top of the Baking Steel will create a perfectly cooked bottom crust. If you own a Baking Steel, do yourself and your friends a favor-bake a pie today. 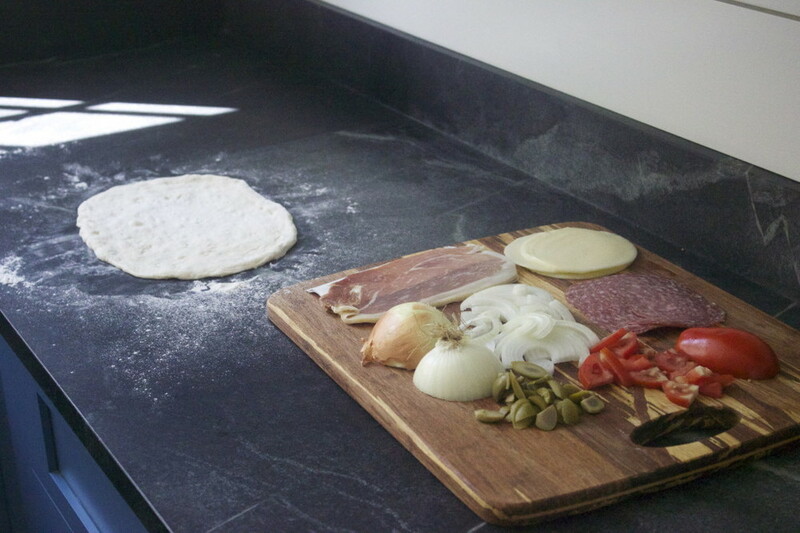 You wont get the same results from a regular pizza stone. The only problem you'll have is deciding who gets the last piece! 1. Place your Baking Steel on the middle rack and preheat your oven to 400ºF . We're going to use parchment paper on the steel to allow for spillage. *original temp called for 425 F, I reduced 25 degrees for the heat retention of the steel. Preheat for 30 minutes. 3. On a lightly floured work surface, place one pie dough round in the center. Roll it out into a circle two inches larger in diameter than your pie plate. Fold the circle in half and in half again. Place in your pie plate and unfold. Press down gently so that the dough fits into the corners. Place pie plate in the fridge while you roll out the second round. Roll the second round out in the same fashion, making it a touch larger in diameter than the first round if possible. 4. Dump the apples into the center of your pie plate, distribute evenly. Take some butter and cube, scatter over the apples . For the top layer, cut out some interesting shapes (I made little circles, let the creative juices flow). Lay the second round of pie dough over top. Using scissors, trim the overhanging dough and set aside. 5. Time to crimp, this can be a little tricky. I practiced with my kids play dough. Basically, we trying to merge the top and bottom layer together by pressing them together. The fancy pants pie experts do this beautifully, it just takes a bit of practice. 6. Brush the surface of the pie dough with an egg wash, paint the entire top layer. 7. Launch into the oven onto a parchment lined Baking Steel and bake for 20 minutes at 400ºF. Reduce the temperature to 350ºF and continue baking until golden all over, anywhere from 30 minutes to an hour longer depending on your oven. I finished mine off with 2 minutes under the broiler to give it a nice brown lid. One thing I learned from both Alexandra and Kenji is that our pie ingredients need to be cold, cold, cold. I threw all the ingredients into the freezer for a good 30 minutes after I had cut and measured them. 1 Combine 2/3rds of flour, sugar, and salt in the bowl of a food processor. Pulse twice to incorporate. Spread butter chunks evenly over surface. Pulse until no dry flour remains and dough just begins to collect in clumps, about 25 short pulses. Use a rubber spatula to spread the dough evenly around the bowl of the food processor. Sprinkle with remaining flour and pulse until dough is just barely broken up, about 5 short pulses. Transfer dough to a large bowl. This is a snack that is so easy to make and so delicious and healthy. It's genius. Slice open your Italian country loaf, pulverize some avocado with a little lime juice and sprinkle on some salt and pepper. This avocado spread is becoming my weekend go to snack with my kids. Get crazy and add some red pepper flakes and olive oil. Let the imagination run wild. I promise this will impress your guests. Pulverize avocado, squeeze in lime juice S & P to taste. Spread over your sliced bread and enjoy. Making bread is one of life's simple treasures. It takes a little patience, but the end result will leave you wanting for more. I'm not talking about the white bread loaves you find in the market. Artisan loaves are perfect for an afternoon snack or paired up with your favorite wine. For this post, I wanted to go back to my Fig days and create an Italian country loaf. I remember heading to the restaurant at lunch, slicing open a loaf and making incredible vegetarian sandwiches, or loading a slice with butter and throwing it under the broiler, instant pleasure! This bread will make your baking life complete. It's incredibly easy-no reason to be scared. Lets get going, because once you have created an Italian country loaf, on your Baking Steel, your baking days will never be the same. 1. To prepare the sponge: in a large bowl, sprinkle the yeast with water and milk and stir to dissolve. Add the honey and flour. Beat with whisk until smooth. Cover loosely with plastic wrap and let stand at room temperature a least 4 hours to overnight. This sponge can be stored up to 1 week in the refrigerator before using. It will be bubbly. 1. 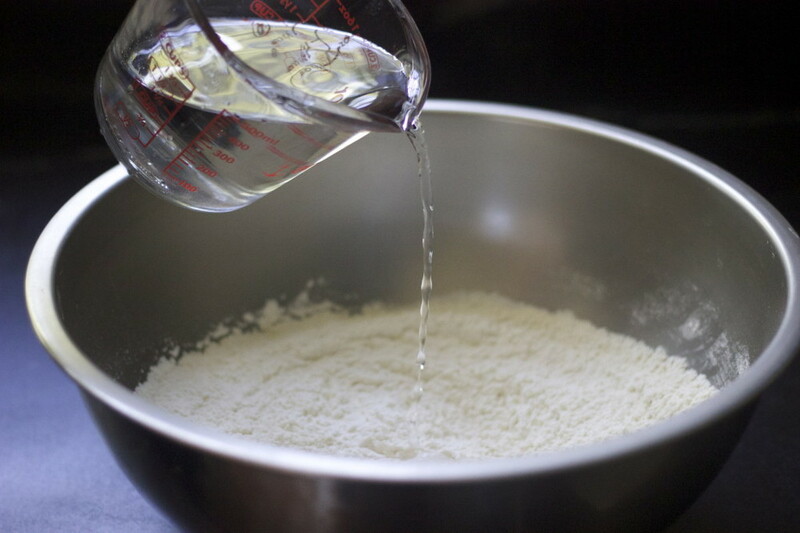 To make the dough: Add the yeast, water, salt, and 1 cup of the flour to the sponge. Mix for 1 minute in a mixer fitted with a paddle on medium. Add the remaining flour 1 cup at a time. The dough will be smooth, yet not pull away from the sides of the bowl. 2. Turn the dough out onto a lightly floured surface and knead vigorously until very elastic, yet still moist and tacky, about 5 minutes. And this will be very tacky. Slam the dough hard hard against the surface to develop the gluten. Set aside uncovered for 5 -10 minutes. Knead again, and the sticky dough will smooth out without adding flour. 3. Place dough in an un-greased deep containter, preferably plastic, cover with plastic wrap and let rise at room temperature for 3 hours to overnight. The dough should triple in volume. I let mine sit overnight. 4. Remove the dough from the container. 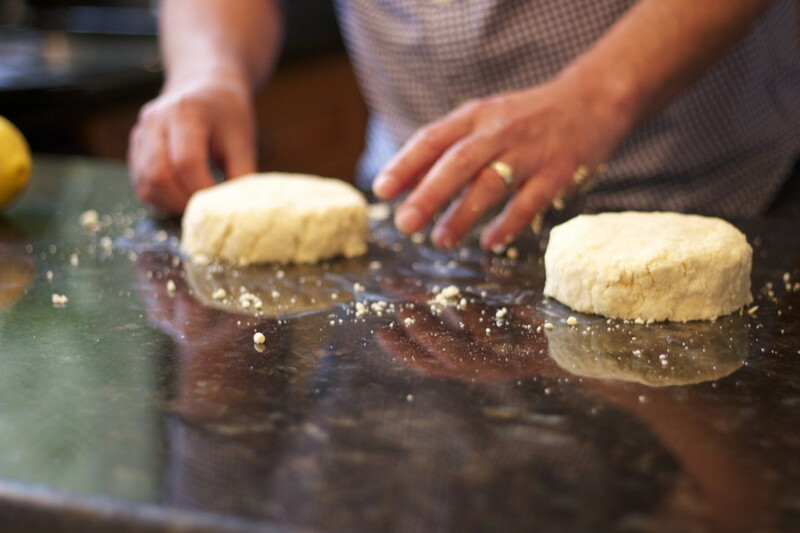 Place on the work surface, knead lightly into 1 large or 2 small rounds, and flatten slightly. Dust with flour and place on parchment-lined baking sheet. Let rise at room temperature until soft and springy, 1 to 3 hours. Load your Baking Steel onto bottom rack and preheat over at 375 F for 30 minutes. 5. Slash a criss-cross design into the top of the free-form loaves no deeper than 1/4 inch, using a serrated knife. Place free form loaf and parchment paper onto a pizza paddle. Launch loaf onto Baking Steel and bake until very dark and crusty, about 55-60 minutes. Cool on a rack. This bread is best completely cooled and reheated. I have to admit, when I am making pizza the sauce sometimes takes a back seat. Usually I just grab a batch of fresh tomato sauce from Whole Foods. 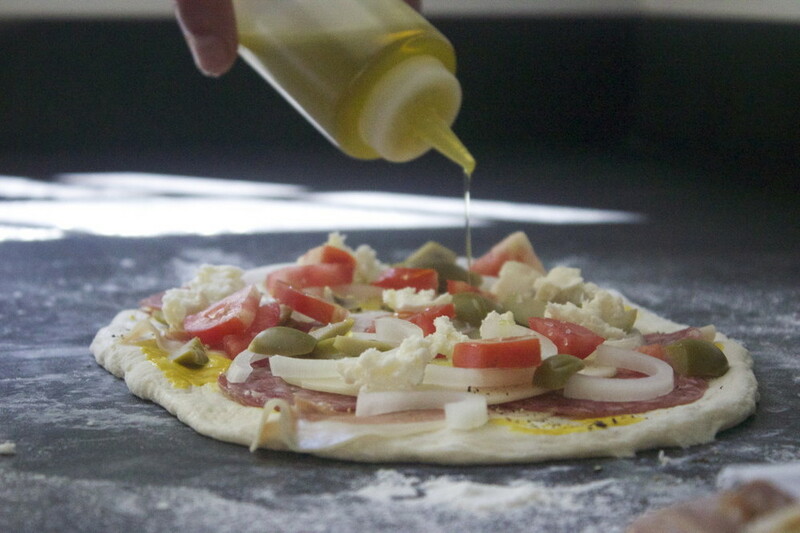 In the past I always focused on the dough,the launch and trying to perfect my pizza. During my pizza sessions, my wife would always cringe at the mess I was making. I basically would paint the kitchen with flour, including my two boys. Buying the tomato sauce would generally result in one less pan to wash, that was my strategy anyway. Plus, when I made sauce it never produced the robust flavors of the fresh tomatoes. I am happy to report that after a year of trials and experiments I have finally found the secret. Today, I want to share a simple no cook tomato sauce with you. The sauce is going to cook on your pizza after it's launched onto our secret weapon, the Baking Steel, why cook it twice. Plus, its one less pot to wash, think clean. 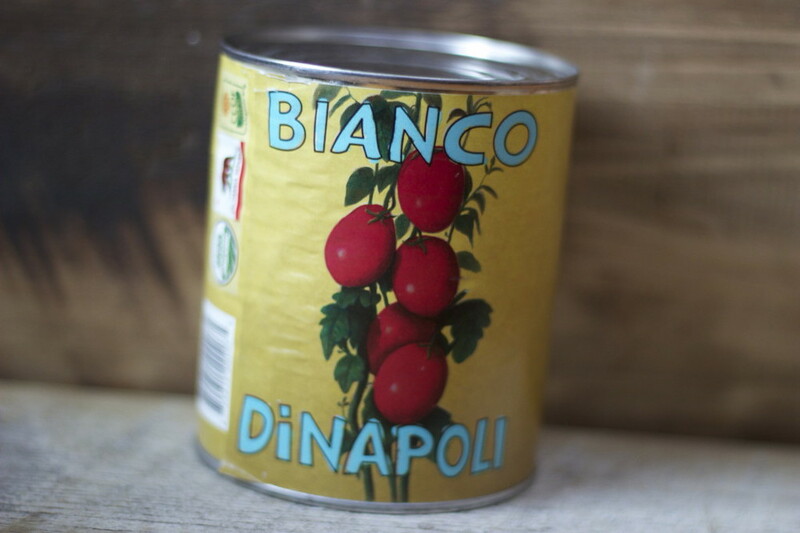 Simply open up a can of your favorite whole peeled tomatoes, strain, and add a little salt and boom, tomato sauce. If it's NY Style you are trying to replicate, add a little oregano, shaved fresh garlic and pepper. Believe me, it will be the freshest tasting tomato sauce you have ever tried. And I am in no way affiliated with these guys, they are amazing. Open can and strain out excess juice. Crush tomatoes with your hand and add salt. Or pulverize in a food processor. A few weeks back I discovered a new cookbook being launched by the infamous Roberta's Pizza in NYC. A place I have read so much about, but haven't yet had the opportunity to visit. It is now high on my hit list on my next trip to NYC. Prior to Christmas I continued to utter the words Millennium Falco to my oldest son, a huge Star Wars fan. Well, my strategy paid off and under the Christmas Tree was my very own copy of the book. It's going to be next to impossible to experience the vibrant energy of Roberta's without visiting, but this book is going to give me and my family a little sense of what to expect when we next journey to NYC. My best guess is that we are going to do a series of pizza tests with the amazing recipes inside Roberta's Cookbook. While we won't be able to replicate the originals, we're going to try and we do have our own secrete weapon, The Baking Steel. The Millennium Falco was named after one of the original pizzaiolos, Anthony Falco. Likely an admirer of Star Wars. What's interesting about this recipe is not so much the ingredients, but the order in which they need to be layered on the pizza. According to Anthony, "the order of the toppings is crucial". I have made a lot of pizza over the last year, and this one is now on top of the list. Believe me, it is simple and absolutely heavenly. 1. Preheat your oven with the Baking Steel on the top rack at 500 F for 45 minutes. 2. 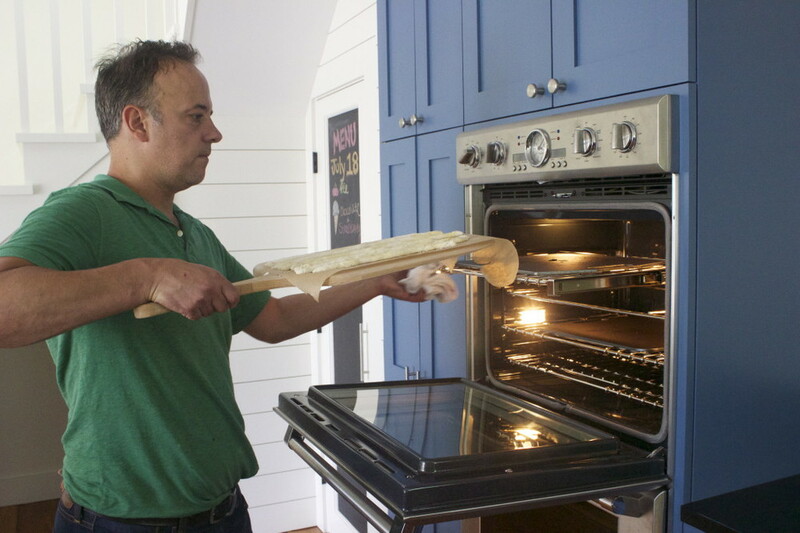 Stretch out your dough and place it on your pizza paddle. 3. Follow the topping order above and bake or switch your oven to Broil 5 minutes before you launch and use the broiler method. Last Friday night, I found myself at the buffet table of an hors d'oeuvre party loading my plate up with satay skewers and coconut shrimp and ahi-filled cucumber cups. But what I returned to the table for, carb lover that I am, was the flatbread, which reminded me of an hors d'oeuvre I used to be quite familiar with this time of year. 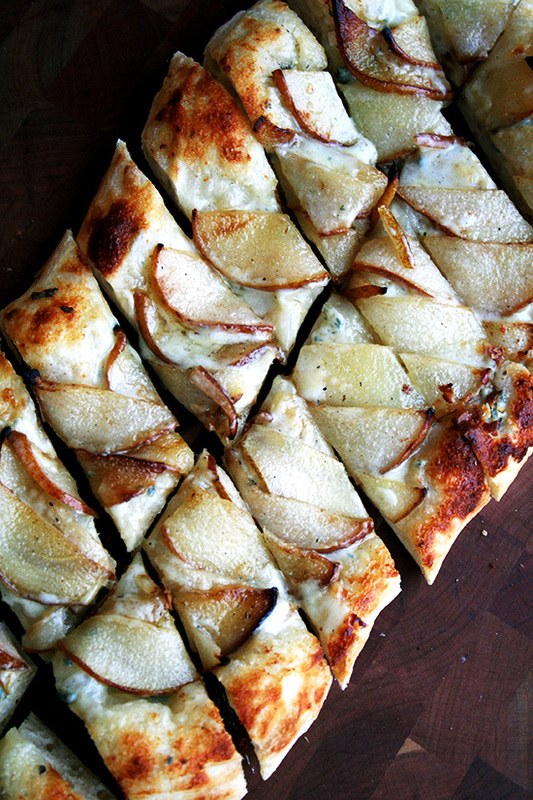 Many years ago while working for a Philadelphia catering company, we served an Alsatian flatbread topped with gorgonzola and pears at nearly every holiday party, and it never failed to be the unanimous favorite. And while yes, of course, pears and gorgonzola is a classic combination, I suspect the reason this particular flatbread was so well received was because a little more thought went into its preparation. The pears were not just scattered uncooked over the dough but peeled and thinly sliced first, then gently sautéed in butter. And the blue cheese was not just crumbled over those pears but melted down with a little cream and spread into a thin, even layer over the dough. These two simple steps add another level of flavor, allowing the pears to caramelize and meld into the cheese and dough. This is the perfect hors d'oeuvre to serve at a holiday party — seriously, nothing will make your guests go gaga more than this sweet pear and creamy gorgonzola topped flatbread — but, served with a wintry salad of bitter greens, toasted walnuts, and citrus wedges, it makes a lovely seasonal entrée, too. Happy Holidays, Everyone! Note: There is nothing flat about this flatbread. It is bubbly and blistery (thanks to the Steel! ), but the oblong shape and thin slices make it flatbread-esque and perfect for serving as an hors d'oeuvres. 1 round pizza dough (Lahey Dough recipe below) 1 tablespoon butter (increase if you are using more pears) 1 pear, thinly sliced, (no need to peel; count on 1 pear per flatbread) 4 oz. gorgonzola 2 tablespoons heavy cream 1. Place your Baking Steel in the oven and preheat your oven to 550ºF. Allow Steel to heat for 45 minutes. 2. About 20 to 30 minutes before baking, remove pizza dough from fridge and place on a lightly floured work surface. Place a sheet of parchment paper onto your pizza peel. 3. Melt butter in a skillet over medium heat. 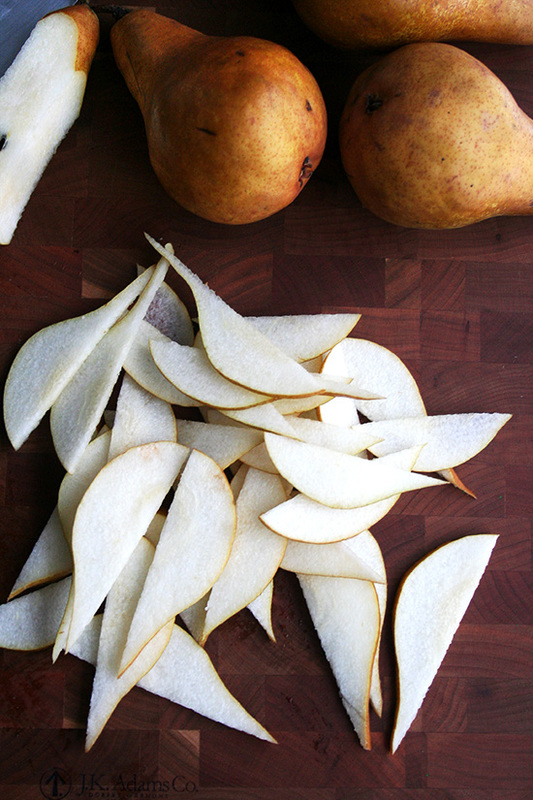 Add pears and sauté slowly until they are slightly soft and their edges begin to brown. Don't worry about making sure both sides of the pears are lightly browned — they just need to be slightly soft, and you don't want to break them during the sauté process. 4. Meanwhile, melt gorgonzola with cream over medium heat until mixture is smooth and creamy. Set aside. 5. Gently stretch your pizza round into a rectangle, roughly 11 inches by 6 inches. (Note: You can do this in the air using the backs of your hands to gently stretch out the dough; or you can do this on the surface of your board.) Place dough onto parchment paper-topped Steel. Spoon gorgonzola mixture into a thin layer over the top of the dough. (Note: This amount of cheese/cream will be enough for about 2 pizzas. Store remainder in fridge and re-melt as needed; or make another flatbread.) Arrange pears browned side facing up and edges slightly overlapping over the top of the cheese. 6. Shimmy your dough onto your Steel. Bake until your "flatbread" is blistered and bubbly, about 5 minutes. Transfer to a cutting board. Make one long cut through the middle of the flatbread lengthwise. Cut crosswise on the bias into thinnish, hors d'oeuvre-size slices. Serve immediately. 1. Whisk flour, salt, and yeast in a medium bowl. While stirring with a wooden spoon, gradually add 1.5 cups water; stir until well incorporated. 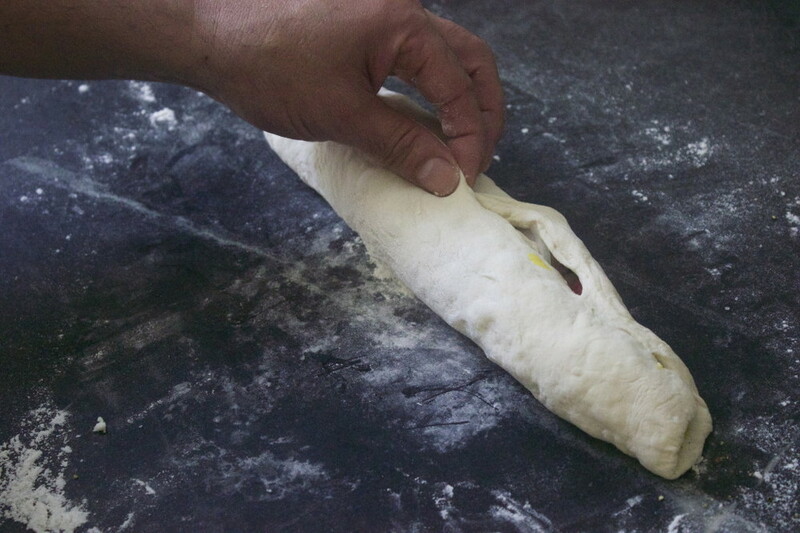 Mix dough gently with your hands to bring it together and form into a rough ball. Transfer to a large clean bowl. Cover with plastic wrap and let dough rise at room temperature (about 72°) in a draft-free area until surface is covered with tiny bubbles and dough has more than doubled in size, about 18 hours (time will vary depending on the temperature in the room). 2. Transfer dough to a floured work surface. Gently shape into a rough rectangle. Divide into 3 equal portions. Working with 1 portion at a time, gather 4 corners to center to create 4 folds. Turn seam side down and mold gently into a ball. Dust dough with flour; set aside on work surface or a floured baking sheet. Repeat with remaining portions. One of my favorite books on pizza was written by Jim Lahey, My Pizza. This is the book that started the no knead phenomenon. This book is so well laid out, he gives his take on entertaining, equipment, dough techniques and then he classifies pizza into different categories. He starts with red sauce pizza. Today we're going to attempt to create his famous Pizza Rosa. It's so simple and yet flavorful. I personally haven't produced too many pizza's without cheese, let me tell you it will not be my last. If you haven't picked up his book yet, I suggest you should. If nothing else, the pictures will blow you away. Simply stretch out your dough, spoon tomato sauce over the surface and spread it evenly. Sprinkle with salt and chili flakes. Distribute the thinly sliced garlic evenly over the pie and drizzle with oil. Mr. Lahey adds his fresh oregano after the bake, I tossed on some fresh basil pre-bake. Either work beautifully. I baked mine in an electric oven at 500 degrees and switched to broil before I launched onto the Baking Steel. Slice and enjoy it while it's hot.